Build a New Home in Citrus Springs Florida - Wheeler Construction Inc. 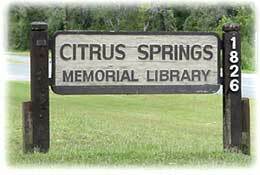 Located in the northern part of Citrus County, Citrus Springs is an idyllic golf course community, set on gently sloping hills, and tucked away amongst ancient oak and pine trees, and lush native vegetation. Yet, just seconds away from home are buzzing city areas with plenty of recreational and dining opportunities. 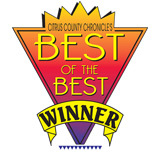 One of the features most enjoyed by homeowners is the gorgeous golf course, Citrus Springs Golf & Country Club. With gently sloping hills, majestically sprawling oak trees enclosing the fairways, and beautiful houses spaced between, playing a round here is truly like spending an afternoon in a park. There are other fine golf courses within minutes of Citrus Springs: El Diablo Golf & Country Club, Rainbow Springs Golf & Country Club, Twisted Oaks Golf & Country Club, and many more. Also within the community are excellent tennis courts for residential use. What better way to mingle with the neighbors and get some quality exercise? The Citrus Springs community was designed around nature, so much of the landscaping incorporates native vegetation and trees. This creates a wonderful sense of privacy and security. Residents also have the pleasure of glimpsing an abundance of wildlife, from deer to squirrels, to a wide variety of magnificent birds. Taking a walk through the community, there is a strong sense of balance between modern luxury and comfort, and natural quiet and tranquility. Other fantastic recreational opportunities are nearby, including the crystal clear Rainbow River. This spring-fed river is perfect for boaters and swimmers alike, who enjoy floating downriver in the slow moving current. Convenient location to major metropolitan areas of the county, a beautiful golf course, well-maintained tennis courts, incredible natural environment and landscaping, what more is there to want? 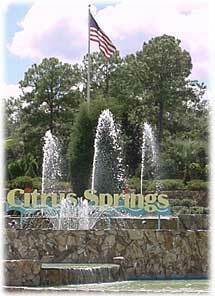 Find your perfect home or lot here within the Citrus Springs community!